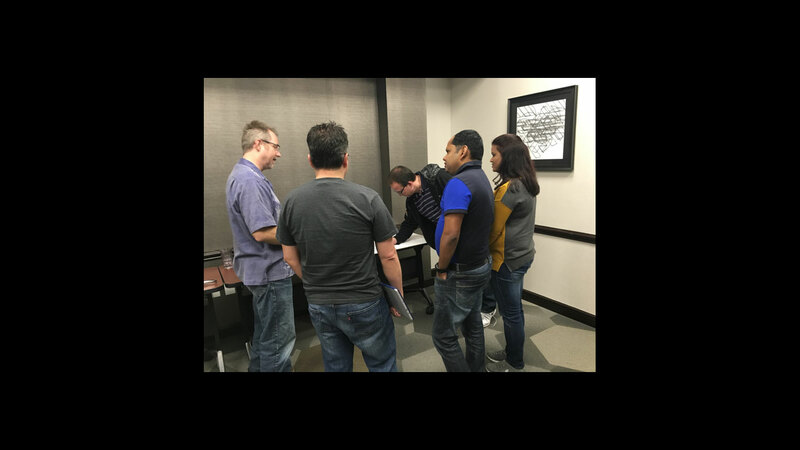 Last year, I was facilitating a workshop on Agile and began the conversation, as usual, with introductions. I asked each attendee what was the most important, burning question that brought them to the workshop. “We have been trying to introduce Agile to our company for so many years and it does not seem to have helped. This reminded me of a very inexplicable phenomenon that occurred in my family about 5 years ago. This may sound very X-File’ish, but it is not. Let me explain. I came home from work and it appeared that the whole house was being turned upside down. Carpets were getting cleaned and fumigated. Air Ducts were getting cleaned. The patio and outside walls were getting pressure washed. I had been married for about 12 years and I had never observed this inexplicable phenomenon before. But luckily, intuition told me not to ask my wife what the heck was going on. Over time, the reason became apparent and the light-bulb went on. My friends and family members informed me that this was completely normal and expected and that I should not be freaking out. This was a phenomenon called the “Nesting Instinct”. We were expecting a baby and my wife was getting our home ready to nurture the most precious gift in our life – our first child! Couple of years later, when we were expecting our second child and I came back home to see a recurrence of this phenomenon, I did not freak out. I knew what was going on! But what does any of this have to do with the question that my student asked me in the Agile Workshop, you may wonder. 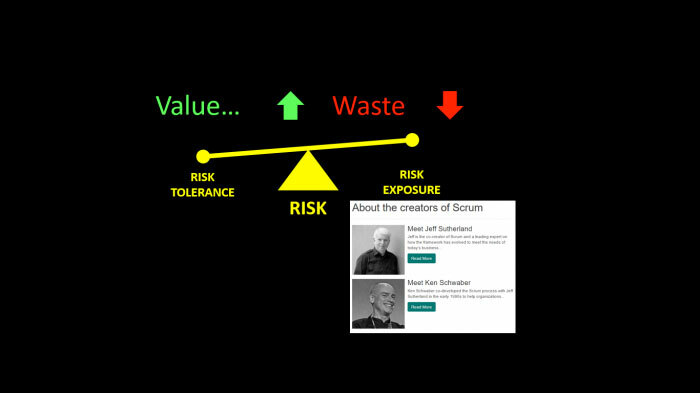 The co-creators of Scrum – Jeff Sutherland & Ken Schwaber – invented Scrum to help organizations accomplish three objectives in a sustainable manner. Just like a pregnant Mother demonstrating the nesting instinct prepares her home so it can nurture her most precious gift – her unborn child, Scrum works best in organizations where people care deeply about nurturing the most precious gift they have – business value. Scrum works to the extent that the people in the organization care about this precious gift and to the extent that they are willing to inspect and adapt their home to welcome, protect and nurture this gift on an ongoing basis. 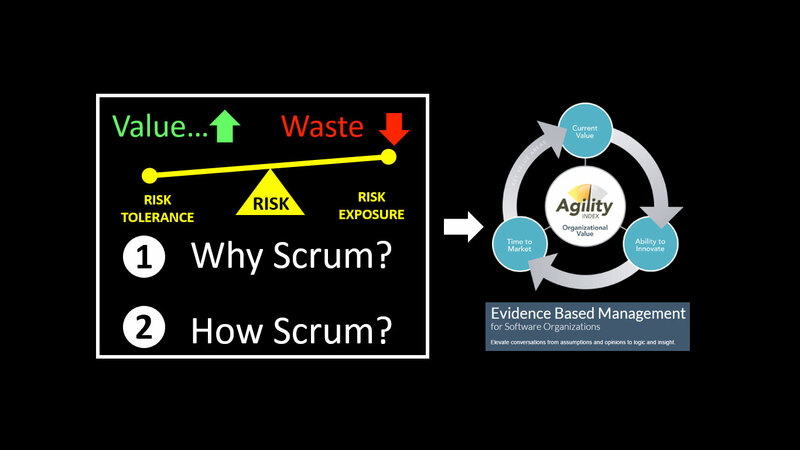 So the efficacy of Scrum depends on the extent to which the organization continuously inspects & adapts based on two key questions. Why Scrum: This question explores why we introduced Scrum into our organization in the first place. It is analogous to the health of the baby we bring into our home. How is our baby doing? Is our baby healthy? Does it have allergies? Is it getting bitten by mites? How Scrum: This question explores how effective we are in understanding and implementing Scrum in our organization in pursuit of #1. It is analogous to the way in which we are maintaining our home. Are we changing the air filters regularly? Do we have a contract with experts to periodically check our air vents and for the presence of pests? One framework that neatly ties both these questions together and enables continuous inspection and adaptation is the Evidence Based Management Framework for Software Organizations – EBMgt. The first “spec” we must consult as we create/maintain our House of Scrum is the Scrum Guide. In the words of Gunther Verheyen, Steward of the Professional Scrum Training series at Scrum.org, it is important while implementing the rules, events, artifacts and rules of Scrum to think not only about what the Scrum Guide “SAYS” but also what the Scrum Guide “MEANS”. 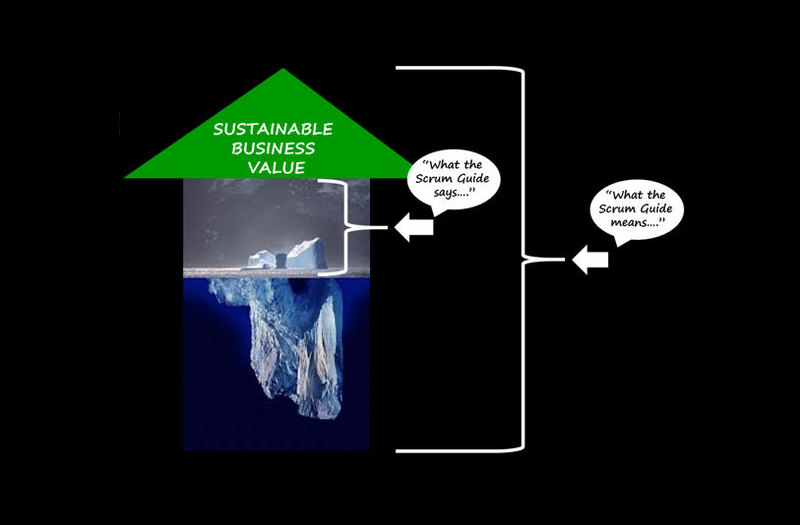 Often, what the Scrum Guide says is the tip of the ice-berg. Only 10% is visible and 90% lies beneath the surface. 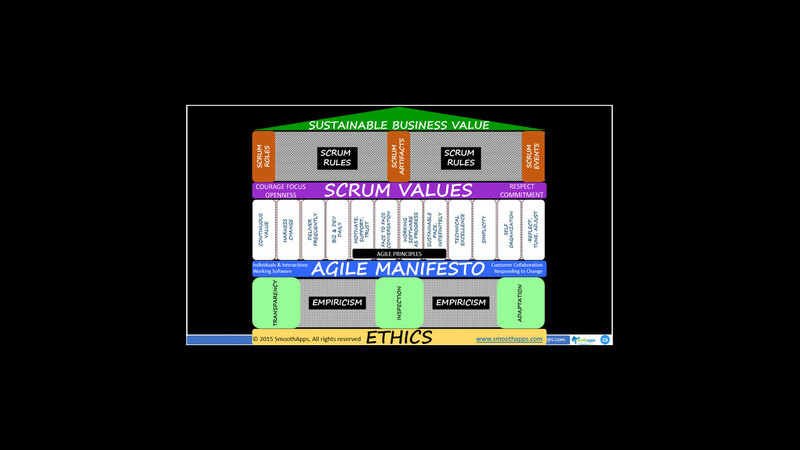 Many other key elements of the architecture of the House of Scrum influence how effective it will be in nurturing what is most valuable to the organization – sustainable business value. Ethics: How ethical is your organizational culture in making the hard choices when confronted with the challenge to deliver more with fewer people in less time? Empiricism: How effective is your organization in enabling empiricism? Frequent Transparency, Inspection & Adaptation into the evolving products, processes & delivery of sustainable business value? Agile Manifesto & Principles: How effective is your organization in applying the Agile Manifesto & Principles in making trade-off’s? Scrum Values” How effective is your organization in creating a culture that honors and lives by the Scrum Values? 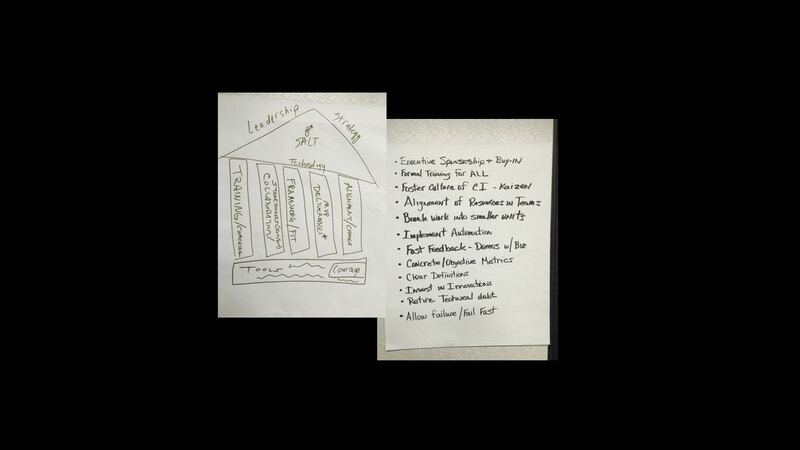 So if you tie all these elements together, one possible way to look at your House of Scrum is shown here. I introduced this idea in my recent Agile-DevOps Meetup and challenged attendees to build their House of Scrum. How much do the people in your organization care about the value you are trying to nurture through the use of Agile? How frequently are you inspecting the health of the value you are trying to nurture through the use of Agile? Let me know what you discover and how you applied your learning. Keep calm and Scrum On! Ravi Verma is a Professional Scrum Trainer with Scrum.org, Public Speaker, Agile Coach, Evidence Based Management Consultant and Blogger with a passion for helping teams re-capture the magic of making I.T. As the Founder and Org Whisperer at SmoothApps, Ravi blends ideas from the world of Technology, Entrepreneurship and Organizational Development to develop strong teams and inspiring leaders at all levels of an organization. Ravi has a Bachelors Degree in Computer Engineering from R.V.C.E., Bangalore and a Masters in Entrepreneurship from SMU, Dallas. He received a Certificate in Organizational Development from DePaul University and Linkage Inc and is an MBTI Certified Practitioner,with a Certificate in Advanced Conflict Resolution from Kilmann Diagnostics. He is also trained in leading organizational change based on “Leading Bold Change” by Dr. John Kotter.